Do you want an original and fun birthday party? 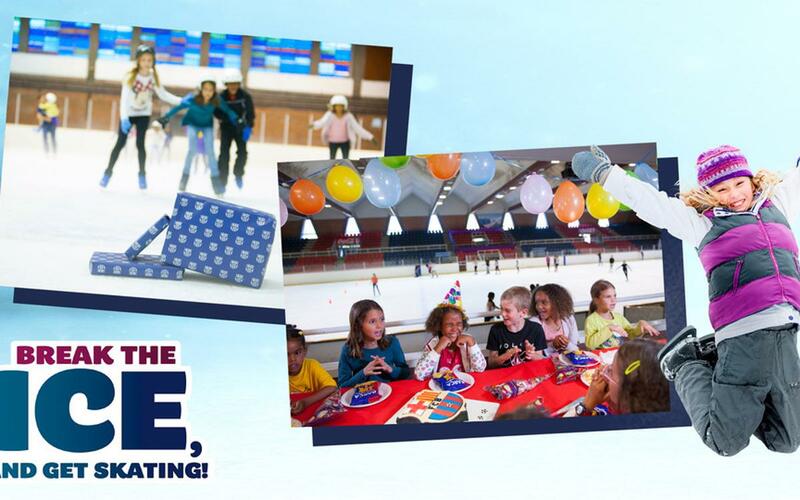 Come to the FC Barcelona Ice Rink and celebrate your birthday with your friends! *NEWS: From April 13th-22nd, no birthday party option will be available. If you enjoy emotions and want to have fun doing something different with family or friends, then celebrate your birthday with us. An unforgettable experience!!!! Minimum booking for ten people. Price per person €19. Includes rink entrance and skate hire, reserved space in the bar, sandwiches, drinks, cake, gift and congratulation message over Ice Rink PA system. Use of gloves compulsory (€3 if not bringing one’s own) for all skaters and helmet in case of under 12s (€3 if not bringing one’s own). Advance booking of at least five working days. After receiving the form, FCB shall be in contact via email to provide the requested information or, one the required checks have been made, to confirm availability for the times and dates requested. We offer free parking at access 14 (except on days of first team football matches in the Camp Nou) If you would like a monitor on the ice with the group for one hour, please state this on the form. This service costs €32 per hour (maximum 15 people per monitor). To get this discount, the member must be the person hosting the party. The party must be held in the same month as that person’s birthday. If you would only like the skating option, please see the groups booking section. Minimum booking for ten people. Price per person €22. Includes rink entrance and skate hire, reserved space in the bar, sandwiches, drinks, cake, gift and congratulation message over Ice Rink PA system. Use of gloves compulsory (€3 if not bringing one’s own) for all skaters and helmet in case of under 12s (€3 if not bringing one’s own). Advance booking of at least five working days. We offer free parking at access 14 (except on days of first team football matches in the Camp Nou). If you would like a monitor on the ice with the group for one hour, please state this on the form. This service costs €32 per hour (maximum 15 people per monitor). The party must be held in the same month as that person’s birthday. If you would only like the skating option, please see the group bookings section.